That’s when he made a few comments I won’t repeat, and brought me up to speed. 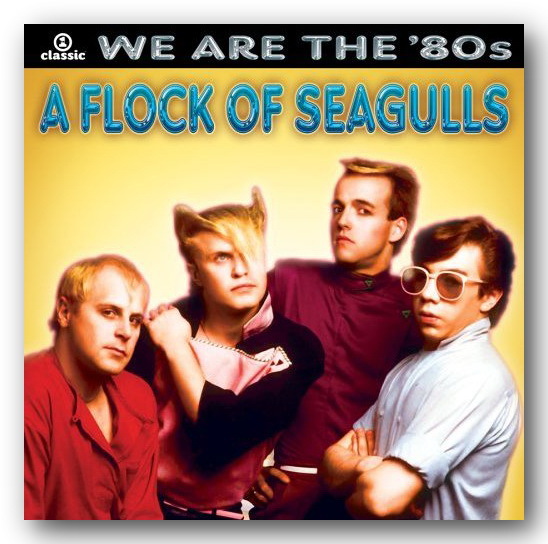 Turns out there was a band called A Flock of Seagulls from the ’80’s, and then the brilliance of the T-shirt comes into its own. Click here for an enlarged side-by-side. Kinda cute, after all. 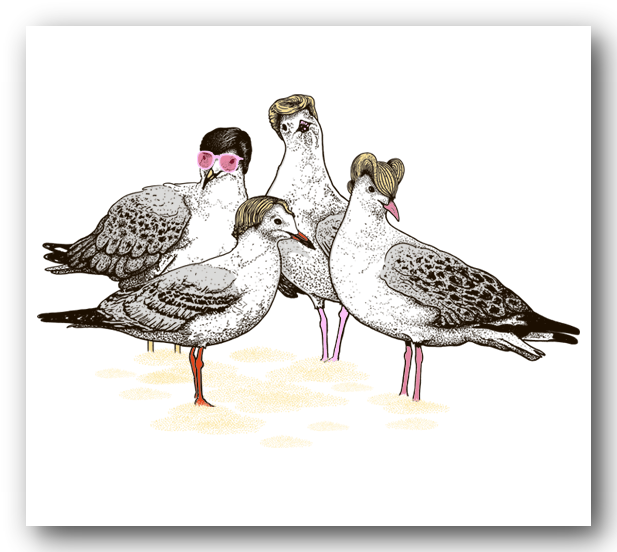 Here’s your link to threadless.com and the Flock of Gulls T-Shirt designed by Andrew John Mohacsy. And the final shameless plug for Matthew’s website, TreasuredFinds.com, your home for Sterling Jewelry and Gifts. I agree, you just never know.